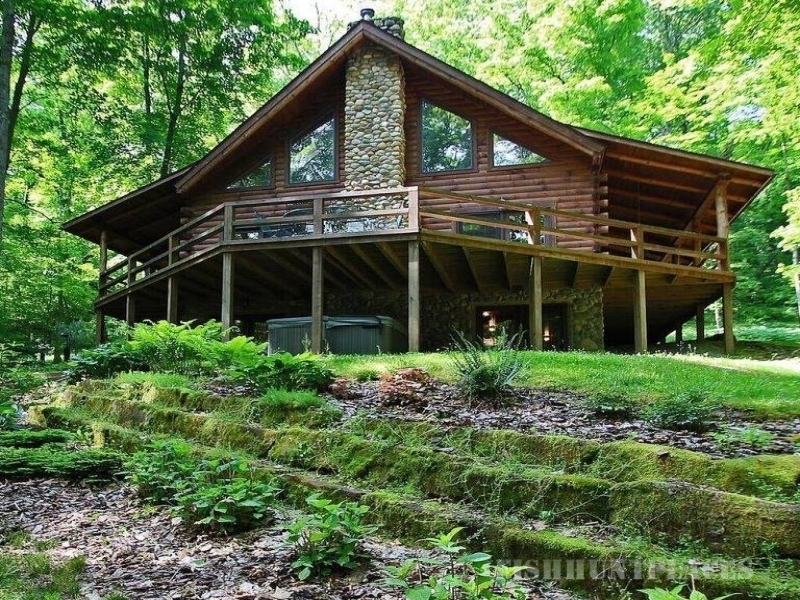 Nicely appointed 2 bedroom, 1 bath cabin located on 600 wooded acres with pond. Fully equipped kitchen, gas log fireplace, large outdoor fire pit with charcoal grill. Get lost on 3 miles of private hiking trails! Hot tub with screened in porch and Satellite TV with DVD player. No hunting or fire arms. 2 night minimum stay required.Maximum Occupancy 4. Pets welcome. $35.00 pet fee required. Linens included. Weekday, Weekend, and Weekly rates available. Jubach.com Log Homes. No ATV riding, hunting, or fire arms.